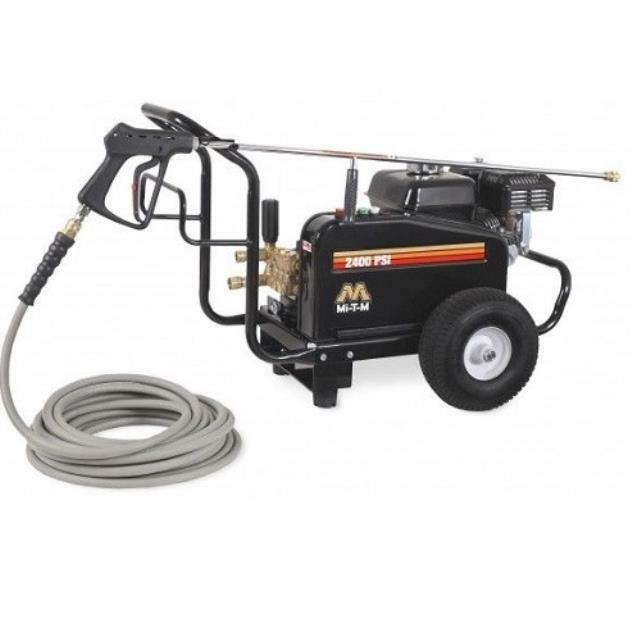 Rugged commercial quality pressure washer works well for washing buildings, fence, sidewalks, etc. For larger jobs consider upgrading to a 2500 PSI washer. Don't be fooled by imitations that offer the same PSI but a low "gallons per minute" rating, or GPM. Pressure washers with a low GPM can be ineffective regardless of the PSI. Click here for the Mi-t-M JCW-2403 operator's manual.